This record definitely has a heavier sound than our previous work. Most of the record was tracked in the summer of 2018, and then Derron Nuhfer, saxophonist/producer/master of all things audio, spent autumn working on overdubs, mixing and mastering. Typically, the band takes off from performing live from November to January, whether to write or simply rest before embarking on the road, and so they waited to release the new EP just as they are playing live again in 2019. The opening track “No Demands,” released earlier in February, demonstrates that transition to a heavier sound. From the introductory notes, the song’s signature lick announces itself with authority and drive and the punchy energy continues for three and half minutes. It is a new favorite among the band, but the music was different at the song’s birth. “Let’s Go” and “No Place to Go” follow with similar bursts of contained energy. Vocalist Laura Dees never needs to lengthen a song to work up to a crescendo. Laura immediately delivers raw, taut vocals yet exudes control through her broad singing range and skilled vibrato. “Souvenirs” brings down the tempo just slightly but allows for additional interplay between PJ and Greg on guitar and Derron on sax in the song’s solo section. “The Other Door,” like “No Demands,” starts off with another machine-gun guitar/sax lick, follows with a rapid-fire, impelling chorus before breaking into a blistering guitar solo from Greg. After hearing five tunes that rock, one after the other, the EP closes with “Upside Down.” It slows the tempo just a bit. The instruments are spaced further out in the stereo field and pulled back just enough to where Mike Davis’s drums are highlighted in the mix, underpinning Laura’s vocals. It is a compelling way to round out a winning record, pleasing from beginning to end with no filler. The record release kicks off a busy spring for the band. Among their scheduled live dates are two big Atlanta events. 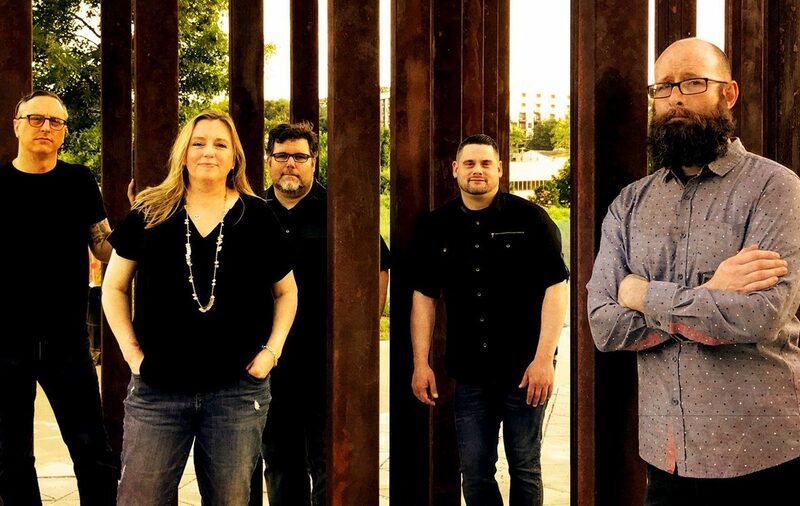 Saturday April 13, 2019 The Bitteroots will join Mavis Staples, Jeff Tweedy of Wilco and Kevn Kinney of Drivin’ N’ Cryin’ at the Amplify Decatur Music Festival on the downtown Decatur square. 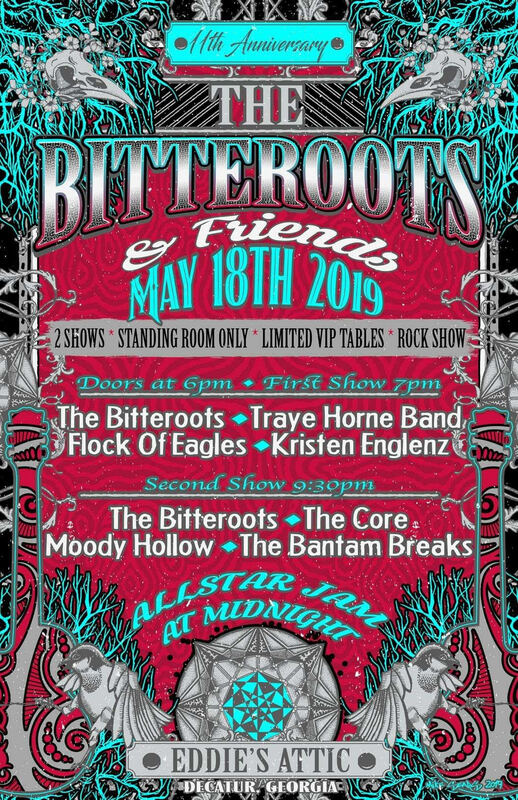 Saturday, May 18, The Bitteroots along with various musical friends will put on two very different performances at Eddie’s Attic to celebrate The Bitteroots’ 11th birthday. 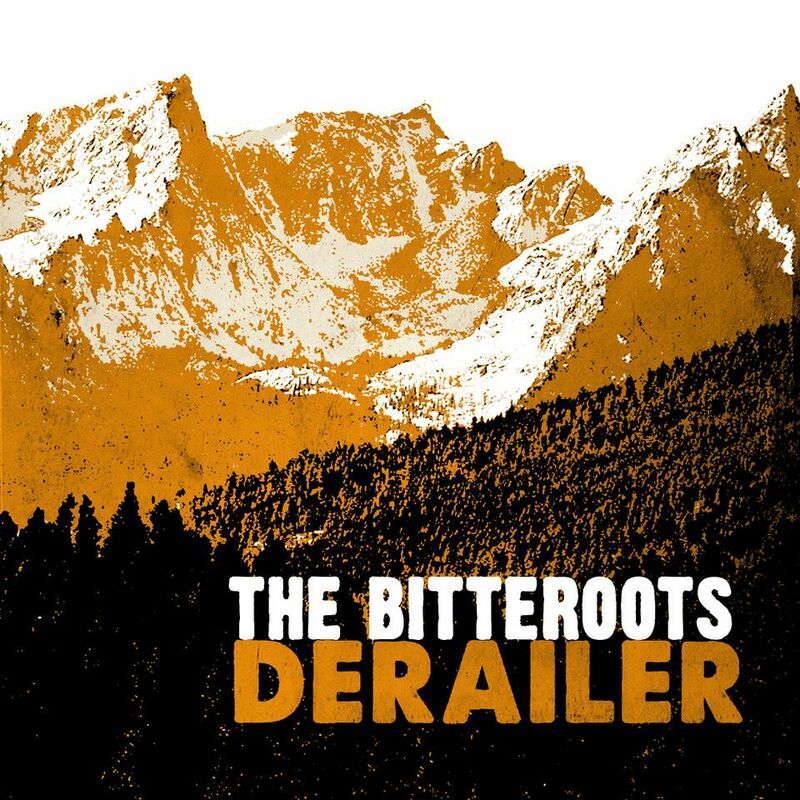 Derailer is available for physical purchase at upcoming Bitteroots shows, in addition to its availability on all major streaming platforms. If you’re interested in learning more about The Bitteroots, check out these previous stories.